A visualization of vortical flow downstream of a drilling rig. 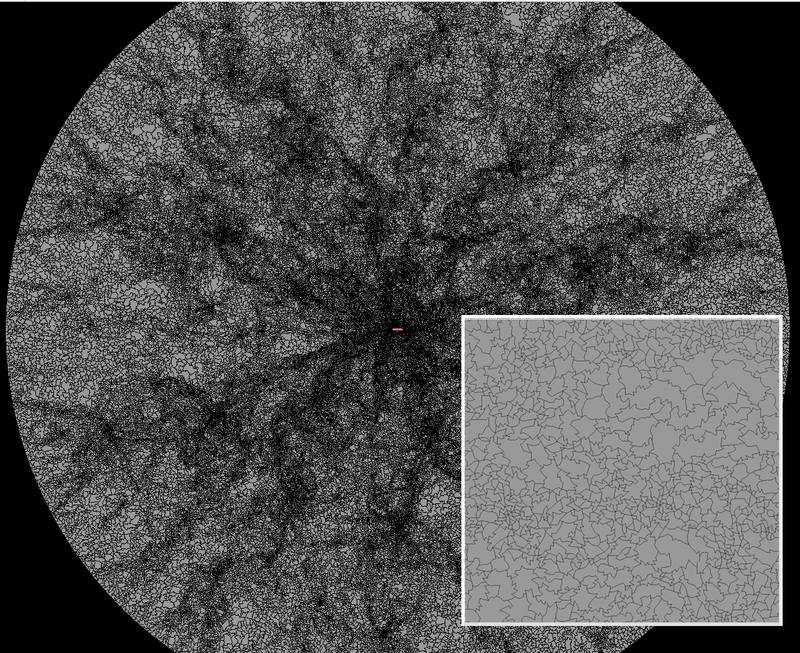 Image from Scientific Computing. See link below. 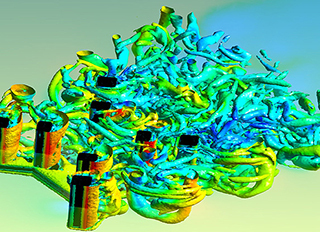 MUST READ: From our friends at ANSYS comes this story of how CFD was used to design a method of improving aircraft cabin air quality. Specifically, the study showed how to “effectively curb pathogen inhalation by up to 55 times and improve fresh air inhalation by more than 190%.” What makes this work even more amazing is the researcher’s age: Raymond Wang is only 17 years old. CFD was used in a study of vortex induced motion of semisubmersible offshore drilling platforms. Here’s an interesting compilation of research from the Symposium on Computer Animation including several fluids-related topics. EnSight was used in a CAVE to visualize simulations of solar flares. 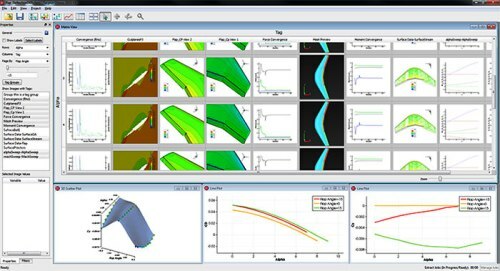 Using Tecplot Chorus an engineer can interrogate several CFD solutions simultaneously as shown in this example for a wing flap deflection. Image from Tecplot. Tecplot released Tecplot Chorus 2015 R2, their software product for interrogating and comparing multiple parametric CFD solutions simultaneously. This new release includes new capabilities for identifying design points that are edges of the parametric space and improved tools for managing thousands of simulations. CFD solver PyFR v1.0.0 was released. Also from the PyFR folks is this article about their use of GPUs. CRAFT Tech has written a Fluent UDF for flames – specifically the interaction of turbulence and chemistry in a flame – and guest blogged about it on ANSYS’ site. Desktop Engineering wrote about the release of STAR-CCM+ v10.0.4. ArtMesh is a quad/quad-dominant surface mesher for Windows that’s free “for a long period of time” and uses OBJ files as the geometry definition. 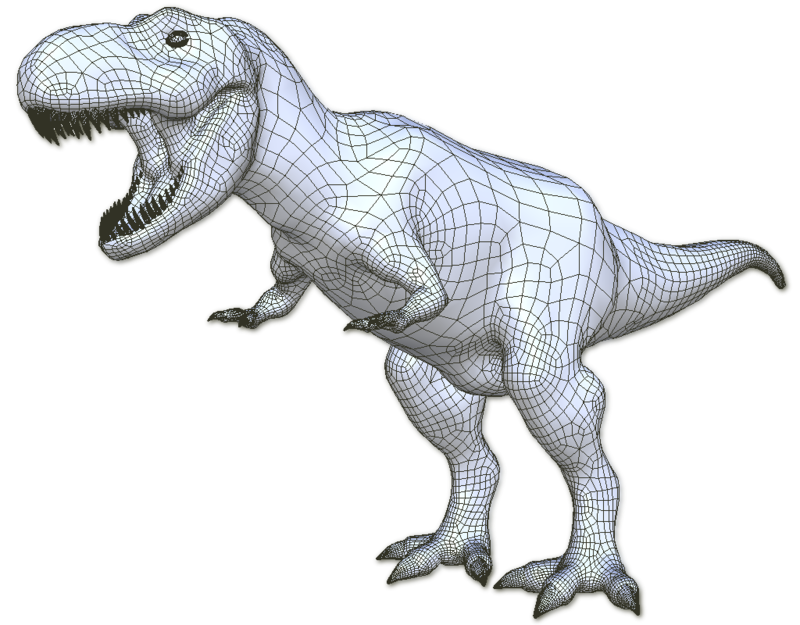 A quad mesh for a T-Rex generated by ArtMesh. Image from Topologica.org. See link above. ANSYS has a lot of job openings all over the world for software developers and application engineers. There’s an opening for a research scientist in CFD modeling of biosciences in Maryland. The keynote speakers for the 2015 European Altair Technology Conference will include representatives from Airbus, Alstom, Ford, and many other companies. Keynote speakers for the PowerFLOW Solution Forum in Tokyo have also been announced. Rumor mill: AMD to go private and split into AMD and ATI again. Best Practices for Scientific Computing targets scientists for whom writing programs isn’t their primary job but the tips are applicable to just about anyone. Want more reading? I do like CFD Vol. 1 is now available in its 2nd edition. Are you familiar with the Three Waves of Commercial CFD? CEI will give a complimentary EnSight license to any participant in the SpaceX Hyperloop Pod Competition for visualizing simulation results. Onshape is hosting a model of the week contest. Underwear model and CFD researcher named “world’s sexiest math’s teacher” is said to enjoy modeling “wet steam flow.” No cliche is left unused in this article. I hope this is not the start of a trend. I ask all the ladies to not objectify me and please respect me for my mind. 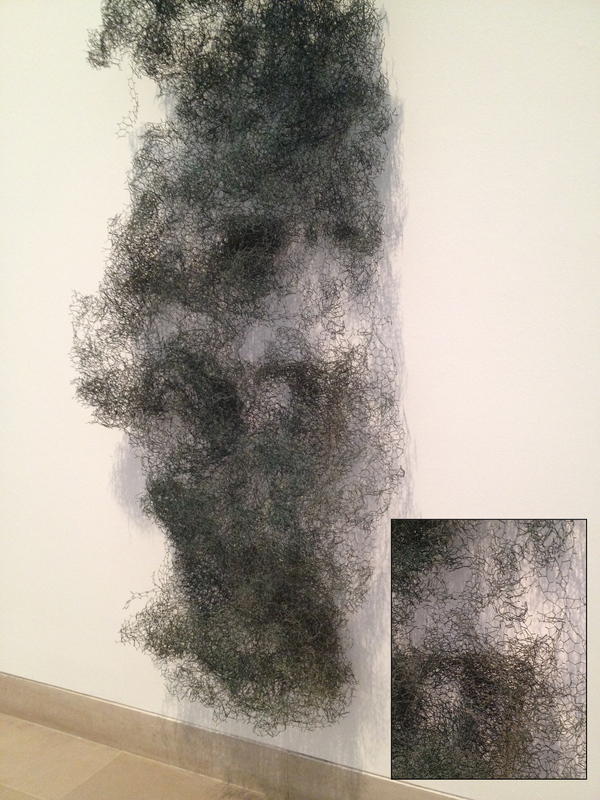 Mesh Art – Coincidence or Intent? Nick Wyman, Pointwise’s director of applied research, was working on an unreleased version of our meshing software and pressed the wrong button. The result, shown below, was what he termed objet d’art. Nick Wyman, Objet d’Art, 2015. Click to see full size image. Perhaps you’re thinking “Ha ha, that’s not art.” Well, consider the following. 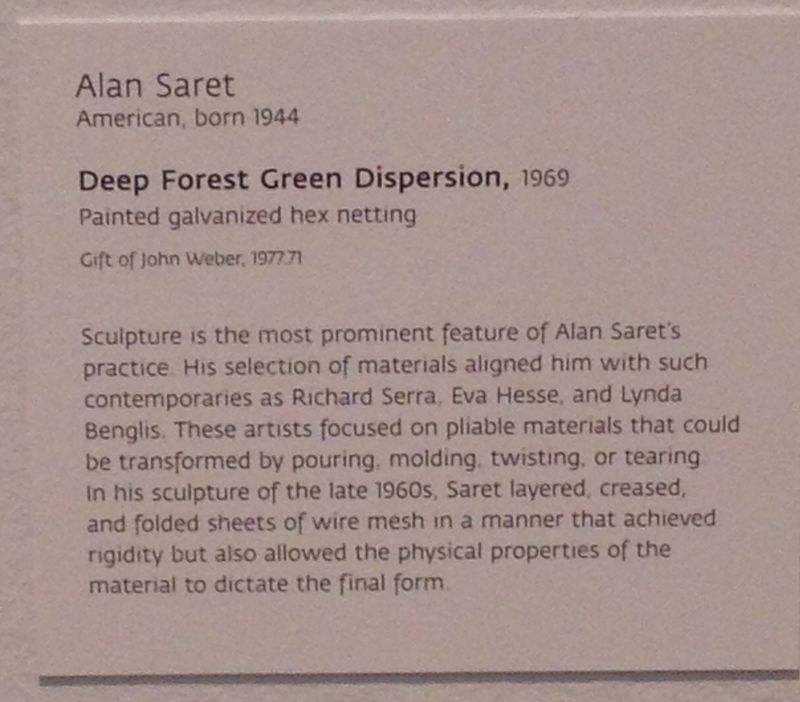 During last week’s AIAA Aviation conference in Dallas, Prof. Robert Haimes (MIT) and I spent an afternoon on an art appreciation tour around DFW and eventually found ourselves at the Dallas Museum of Art standing in front of Alan Saret’s Deep Forest Green Dispersion (see images below). What can you say now about meshes and art, intent and coincidence? Alan Saret, Deep Forest Green Dispersion, 1969. Click image for large version. This entry was posted in Applications, Events, Hardware, News, Software and tagged Aerosoft, Altair, AMD, ANSYS, ArtMesh, CEI, Chorus, CRAFT Tech, EnSight, Fluent, GASP, jobs, LearnCAx, PowerFLOW, PyFR, SC/Tetra, Software Cradle, STAR-CCM+, Tecplot. Bookmark the permalink.